DJ Producer Galactus Jack is here with his first solo EP called Reality Bytes. It has taken over two years to release and as Galactus Jack says, "Over time the sound of Galactus Jack took some twists and turns and resulted in the record we have today." Galactus Jack is the one time member of house music and DJ worship group Aorta, but after two years he was ready to give the public the album we all wanted. The DJ has given us 7 dance tracks that wouldn't be a miss in any club. Read More DJ Producer Galactus Jack is here with his first solo EP called Reality Bytes. It has taken over two years to release and as Galactus Jack says, "Over time the sound of Galactus Jack took some twists and turns and resulted in the record we have today." The album starts off with a 1 and a half minute long track Test which I really felt could have been taken further on and made into something bigger, but a nice start to the EP. Headspace is up next with vocals from Shell Perris. If you had the opportunity to hear the brilliant new Prodigy album, well this album is very similar in sound and feel, and this comes through very much in this first real track of the album. If you thought Headspace was the single off the album, Hollywood is the gem of the album, with its Fat Boy Slim Dance feel and American distorted chorus vocals - a brilliant dance anthem. This EP is full of driving rhythms that you would expect from a dance EP but what is brilliant about this album is its chunky guitar sounds on some of the tracks which at times add a massive extra edge to the sound. 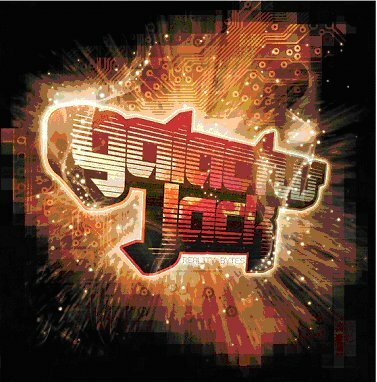 Some people has described the sound of Galactus Jack as Electro Grunge magic, which is the perfect explanation for the vibe of this EP. If you are still unsure if this is the album for you, just head on over to his MySpace and have a listen for yourself. I wasn't sure if I was going to like this album when I first heard it, but since I started listening to it, it hasn't been off my iPod. Christian Dance Music at its best and not scared to be a bit edgy and in your face with its driving beats.